Ravo put together a tour based on the number of days we had and the things we wanted to see. We were amazed at the baobabs, lemurs, and the land. We had nice clean places to stay and our food was tasty and safe. Ravo was kind and helpful and found amazing great guides for our night walks and morning walks. TOUR GUIDE RESPONSE: Happiness and Good Health for you and for your family during your life Susan and Vidya. Thank you very much. Ravo.Madagascar. God bless you. Ravo was an amazing tour guide! He was fun, informative and really friendly. We were 2 girls travelling and we felt really safe touring Madagascar with Rav, and our driver Felix. Everything was well organised and he was very flexible when we changed the timing of the tour, we would highly recommend Ravo! Rav for president! I had a few extra days after a Madagascar tour, and booked a three-day tour with Ravo. He was very responsive to my many emails, and suggested an excellent 3-day trip to the east of Madagascar, where we visited an interesting village on the Pangalanes Canal and saw lemurs, including the Aye-Aye. He developed a good trip within my budget. He also visited me at my hotel when I first arrived in Tana to get acquainted. My only hesitation is that Ravo speaks good English, but it could be a little better. Ravo is a very conscientious and serious guide. His English was adequate and his organising skills very good. Ravo was always very concerned for our welfare and the very local guides he used were very knowledgable about the fauna and flora of their area. We had a very interesting and enjoyable tour of the Southern part of Madagascar. Ravo was excellent from the moment we started booking our Madagascar trip until he dropped us off at the airport in Tana. He was prompt with his emails while we were trying to book the trip and was attentive, informative, funny and kind while we were travelling. We jam packed a lot of travel for 2 weeks but he was able to set up an itinerary and take care of our needs without any issues. We thoroughly enjoyed our trip and were enthralled with the culture and beauty of Madagascar, all thanks to Ravo. Ravi was nice, accomodating and informative. Ravo did a fine job and we were very satisfied with his services. I would rate it five stars out of five possible. We enjoyed both the drive out to the Lemur rehab place and observing the lemurs themselves. After lunch, we also had a chance to see the queen's royal palace and a stop at a very large market. Both he and the driver were very courteous and helpful. Madagascar is not the easiest country to visit as the quality of transport, restaurants and hotels is not well developed. Within these constraints however Ravo's knowledge of the country and his network of contacts enabled him to book the best facilities in each area we visited and deal with the unexpected. He is very friendly with good English and excellent French language skills. We certainly feel that we got to see everything we wanted to see and to gain a very good appreciation of the country. Ravo is an excellent and very knowledgeable guide. Added to his extremely friendly and easy going personality it makes for the best experience. He had a well prepared plan for my trip and didn't mind to modify by my last minute request. Very punctual and professional, he will make sure that you have nothing to think about, but to enjoy your trip and adventure. He made sure that I will see all major attractions within the geographical range my time could cover and of course the budget I had. Thank you! Ravo is an experienced tour guide. His English is excellent, as is his knowledge of country, flora and fauna. He employed an excellent driver with a well-maintained 4x4 vehicle. Very poor infrastructure in Madagascar means driving times between points of interest and accommodation can be extremely challenging. Planning an extended trip requires research including consideration of air charters, and level of accommodation acceptable to potential visitors. There is much to see and the wildlife is unique. Wow! What an amazing experience. We were greeted at the airport, before heading off to Andasibe, where we stayed for for 2 nights. Our first day was spent with our Tours By Locals tour guide, Ravo, and a local who guided us around the forest in search for wild lemurs. Our tour was successful, within 10 minutes of the trek we had spotted our first group, and saw many more throughout the day. The private lemur park was also amazing. Ravo was friendly, informative and we always felt safe. Highly recommend! Ravo was an excellent guide, very knowledgeable, honest and fully dedicated. You can tell that he loves his country and puts his whole heart in what he is doing. Whatever complication happened during the trip he could solve it with an ease.He was able to take us to all the places from our wishlist and where other guides said that it was impossible for Ravo was possible.He has a great sense of humor. We can easily say that he became our friend. He is the best because he really loves what he is doing. Ravo was an incredible guide and a genuinely nice person. My arrival was not without hiccups as my bag did not arrive with me, but Ravo was most helpful and knowledgeable about how the airport system works that I did not concern myself with it. We had a schedule and I left the airport bagless, but unconcerned. I picked it up on my way out of the country a week later. There was nothing that Ravo did not think of as we traveled and my list of experiences was completely met! 100%. I highly recommend Ravo! TOUR GUIDE RESPONSE: Thank you very much Dear Terri :) Love, happiness and peace be with you ! God bless you ! Madagascar airlines continually changed times and even days but Ravo did an excellent job of correcting for this. My main negative is that Ravo could have done a better job of making sure we had cash, as we were under the impression we could pay for hotels by visa, which we couldn't. Fortunately we happened to have enough, but we could easily have been without enough to pay for the hotel. That is why I gave 4 stars not 5. 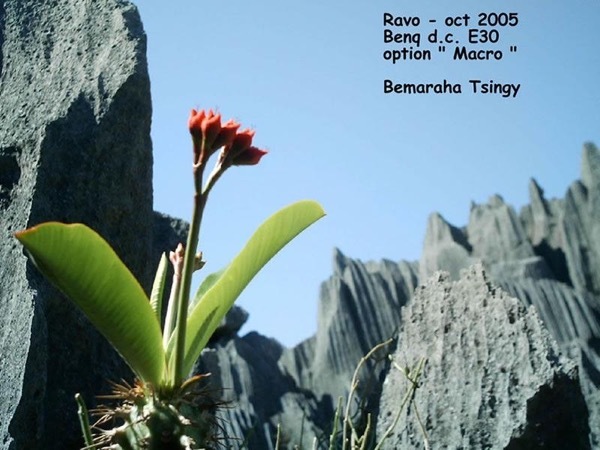 Ravo guided my two adult children and me through western Madagascar, including the Tsingy de Bemaraha National Park. He is an excellent guide. He is honest, reliable, knowledgeable and personable, and he makes the desires of his clients a priority. His driver was also excellent. There were a number of times when we wanted to depart from the scheduled itinerary, and on each occasion Ravo and his driver were accommodating. Ravo truly "goes the extra mile" for his clients. My your guide was Rav. I cannot imagine a better way to utilize a day in Tana than by allowing Rav to walk with you through the town he has known and loved for many years. I wasn't interested in animals or tree,. I wanted to learn the culture. We saw markets, the palace on the hill, ate at a Malagasy restaurant...could not have been better constructed. Don't wander around like a tourist...get Rav to teach you all about his Tana! It was great tour. 2 weeks 4000km. I did see everything that I wanted and even more. The waterfall in North was one of the best I ever saw. Thank you Ravo for perfect organization of my tour. TOUR GUIDE RESPONSE: Thanks a lot Vasili. Thanks a lot for your Rating. And thanks a lot to have come in Madagascar in ... March. I'm sure you will inform your relatives about the beauty of my country. All best to you. Highly recommended. Flawless trip. Ravo is a friendly and very knowledgeable guide ... great communication from our initial contact through trip planning to discussing our daily itinerary. We couldn't be happier and we can't wait to go back. The tour all went smoothly and as planned. Ravo was very clear about expenses and there were no nasty surprises. He also gave us, prior to our arrival, an accurate estimation of extra costs. He always put our wishes first, and ensured that we were well looked after everywhere we stayed. Dede is a good and competent driver who deals very well with some very poor roads; he is helpful and knowledgable. All in all a wonderful experience and we look forward to their company in the future. He was not able to share a lot of information because he did not speak good English. He took extra cash for tickets instead of letting us pay for it, so he took triple the prices (felt more like stealing). TOURSBYLOCALS RESPONSE: We've reviewed the booking details and communication between customer and guide - Ravo did mention the extras and they were agreed upon by the customer before she booked this tour. We've spoken to Ravo about working on adding those extra costs to his tours total prices to avoid confusion. Regarding his English skills we've asked Ravo to post a movie so that travellers can assess it for themselves. Ravo did a terrific job tailoring an enjoyable city tour to my personal interests. 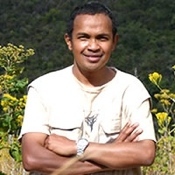 His knowledge of Madagascar history is excellent, and he gave me a great opportunity to experience the "life of a local" through traditional food and interesting street markets. Highly recommended! Ravo was perfect. He did not just give us a package tour, he took the time to learn about us and what we wanted and liked and created the perfect tour for us. We wanted to see local culture and he took us to Famadihana. Ravo was able to make for us the perfect holiday that we had dreamed of. We saw so much of the true like of the wonderful people. He is much much more than just a normal guide, he is a 'fantasy' maker. He turned Madagascar in to Fantasy Island for us. He was perfect! Our tour was very tough, long days on rough roads but our guide, Ravo, and driver never complained and always did everything in their power to assist us. Ravo spoke some English and always had books, maps and brochures to fill in the language gaps with all sorts of information. Ravo tailormade our very demanding itinerary and added some suggestions that turned out to be the highlights of the tour. Ravo has great knowledge and passion of his country, highly recommended as well as ToursByLocals.